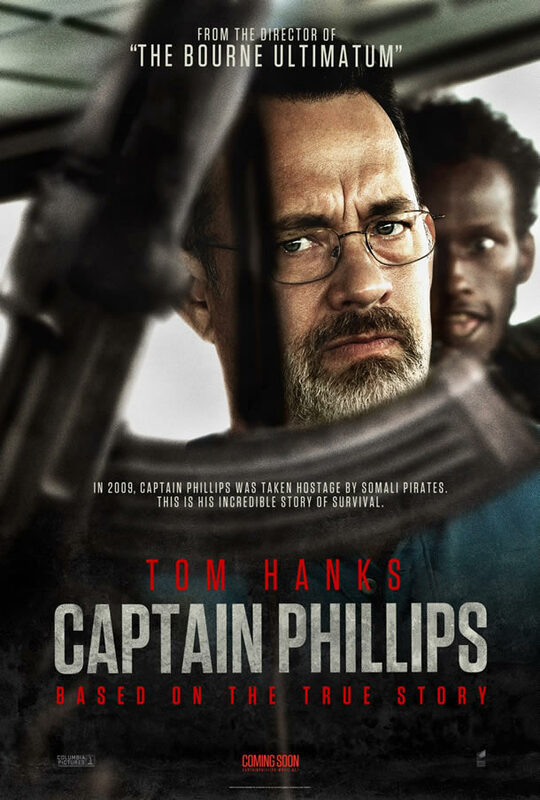 Captain Phillips is based on the true story of when a US flagged-cargo ship was hijacked by Somali pirates in 2009. This was the first time that this had happened to an American cargo ship in 200 years. 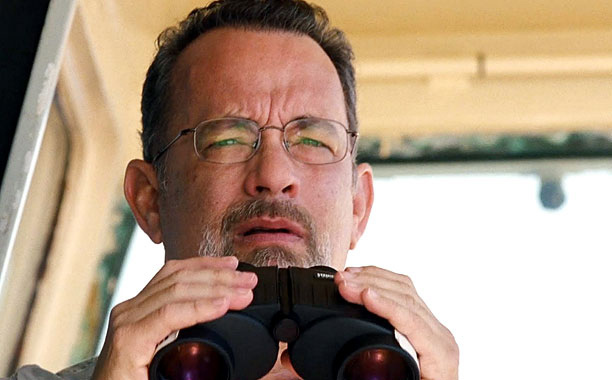 Richard Phillips (Tom Hanks) was the captain of the ship. Back in 2009 I had a warehouse job that enabled me to listen to the radio all day long during my shifts. I remember having my ears glued to the little radio that was set up in my work station as I listened intently for updates about what was happening with Captain Phillips, his crew, and the Somali hijackers. It was already 4 years ago, but it feels like yesterday. I remember how America responded to this act of terrorism and that made me curious to see how the film would portray the situation. I figured if the movie followed the truth closely, than it might have the potential to be a quality film and an Oscar Contender. The noteworthy cast includes Tom Hanks, Catherine Keener, Michael Chernus, David Warshofsky, Chris Mulkey, Max Martini, Omar Berdouni, Barkhad Abdi, Barkhad Abdirahman, Faysal Ahmed, and Mahat M. Ali. Hanks has not had a great part for a while, until now. There was a time when he had one excellent movie after another. This will be the movie that puts him back into the spotlight (it already has). The role fit him like a glove and he wore it well. His performance should be worth an Academy Award nomination for Best Actor and if he wins, it would be well deserved (another one to add to the collection). The film also deserves a Best Picture nomination. The film does not follow the facts completely, but the few things that it does change only serve to make the movie more powerful, more entertaining, and more enjoyable. The things that were changed were done so tastefully. After all, with Tom Hanks in the driver’s seat, Hollywood has to dress the story up a little bit to turn it into a blockbuster. 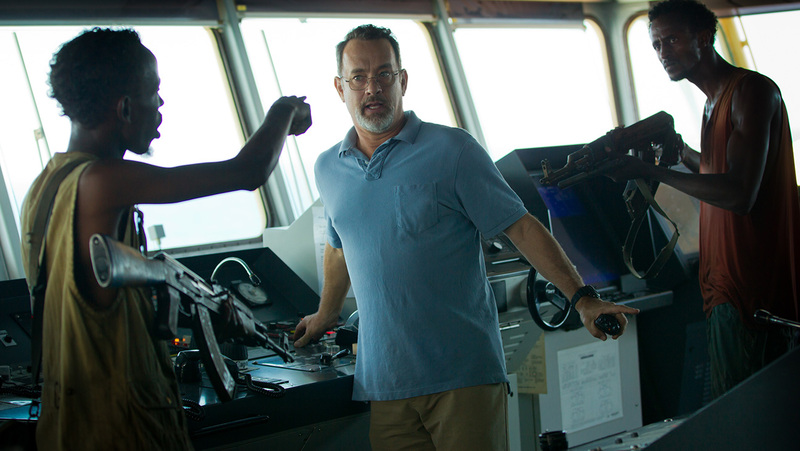 Captain Phillips is an edge-of-your-seat suspenseful thriller that is one of the best movies of 2013. It is one of those films that hits home a little harder because it is based on a true story. 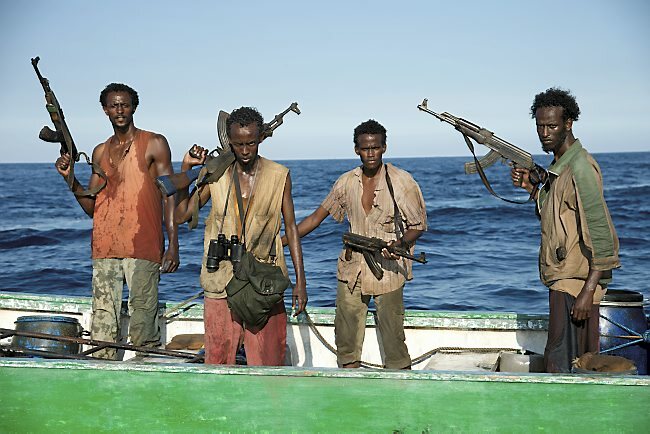 Posted on October 14, 2013, in Drama Movie Reviews and tagged A Captain's Duty, Barkhad Abdi, Barkhad Abdirahman, Billy Ray, Captain Phillips (2013), Catherine Keener, Chris Mulkey, David Warshofsky, Faysal Ahmed, Mahat M. Ali, Max Martini, Michael Chernus, movie, Omar Berdouni, Paul Greengrass, Richard Phillips, Tom Hanks. Bookmark the permalink. 7 Comments. Dear Brock, I love movies and I love language … the way you combine your own appreciation of good cinema with such insightful descriptions and explorations of the respective subject matter is very rare, and reading your reviews and commentary on what’s available on the big screen including your personal approach and well-reflected opinion is a great joy. Thank you! Thanks again Henning! I have had a lot of fun writing about what I love. I wish that I could spend all of my time writing about and watching movies. Find a way to do what you love and get paid for it. Isn’t that what they always say? Movies are one of the few things that I am very passionate about. Thanks for the kind words. Take care! wow! two 9’s as a double feature, thats amazing! this is another one i’m looking for5ward to seeing. That’s exactly what I thought. Of course, they always release all of the good movies towards the end of the year so that they can fit them in for the Oscars. Two 9’s in a row is a rarity, but actually I’ve seen four 9’s in a row in theatres. That is like almost impossible. Some movies get better each time that you watch them and others can lose some of their thunder. I wonder how these will hold up. Both of those movies won’t disappoint. It’s an almost perfect double feature. Take it easy Rob!